I’m going to miss my Versace frames! Something tells me I’ll wear them sans lenses. I now can do something I haven’t been able to do since I was seven years old–see without wearing prescription glasses (or contact lenses). I took the plunge. After many years of contemplating it (and, let’s face it, not being able to afford it, especially while I was a newspaper reporter), I finally got LASIK surgery. This had nothing to do with vanity. Sure, as a high schooler and college student, and when glasses were far less attractive, I wore my contacts for hours and hours each day. I NEVER went out with my glasses. If my contacts tore, I’d stay in. But nowadays, glasses frames are stylish, and I’m older and wiser. I like how I look with my ‘four eyes’ on! But as far as action sports, or swimming, I’ve always felt left behind. At the gym, the glasses-sliding-off-my-face thing was getting old. So I did it. I went to Gotham LASIK Vision in midtown Manhattan, and I highly recommend them. I literally walked by the place dozens of times (I work nearby) and one day popped in for a brochure and eventually made an appointment for a free consultation. That’s what sold me. Gotham LASIK’s doctor, Brian Bonnani, has been performing refractive eye surgeries for more than 15 years. He answered all my questions (and I had plenty), carefully explaining how nearsightedness occurs and how this laser surgery would correct it. Because he uses the Allegretto Excimer Wave Laser, he told me the chances of losing my night vision or having a ‘halo’ side effect, were virtually nil. So I did it. I am still inserting antibiotic and anti-inflammatory eyedrops four times per day. I’m also using lubricant eyedrops to ward off dry eyes. I haven’t experienced dry eyes, but it’s interesting to note I experience tired eyes. In any event, I’ve only tried “reaching” for my glasses once (at night, right before bed, as if I were going to take them off), and I can’t shake the feeling that I’m missing a step– that I need to remove my contacts at the end of a long day. 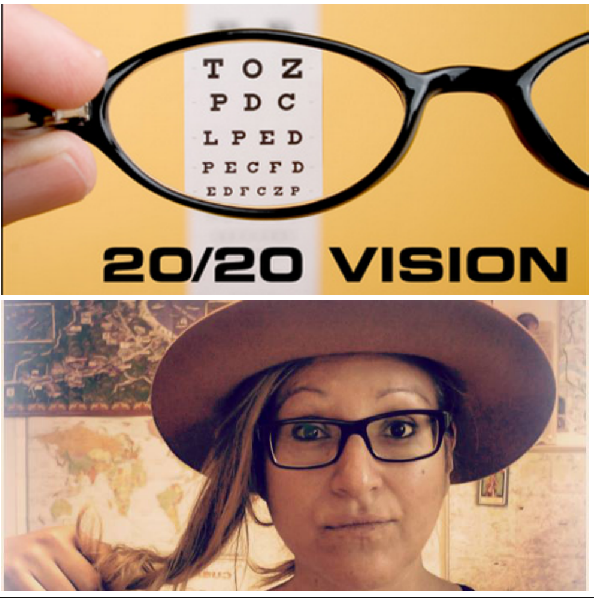 So, verdict: despite the occasional feeling of tired eyes, I’m happy to have 20/15 vision. Can’t wait to go to the beach this summer, where I’ll be able to see the sea when swimming! The year of our Lord 1348. On Friday, the 10th of the month of October, at Châtel, in the castle thereof, there occurred the judicial inquiry which was made by order of the court of the illustrious Prince, our lord, Amadeus, Count of Savoy, and his subjects against the Jews of both sexes who were there imprisoned, each one separately. This was done after public rumor had become current and a strong clamor had arisen because of the poison put by them into the wells, springs, and other things which the Christians use-demanding that they die, that they are able to be found guilty and, therefore, that they should be punished. Hence this their confession made in the presence of a great many trustworthy persons. A former assignment editor from my newspaper days is now a program manager at Montclair State University’s Feliciano Center for Entrepreneurship and she’s asked me to share the following information for what seems like an excellent FREE event for the business-minded. Essence magazine’s Mikki Taylor, Catalyst’s Ilene H. Lang, NASDAQ OMX’s Ellyn McColgan, Golden Seeds’ Joan Zief, venture capitalist and former Time Inc. exec Fran Hauser, Tracye McDaniel of Choose NJ, Kathleen Coviello of NJ Economic Development Authority, Michelle Lee of Wells Fargo, networking guru Sally Glick, plus executives at companies ranging from startups to giants like Prudential and Horizon BCBSNJ. 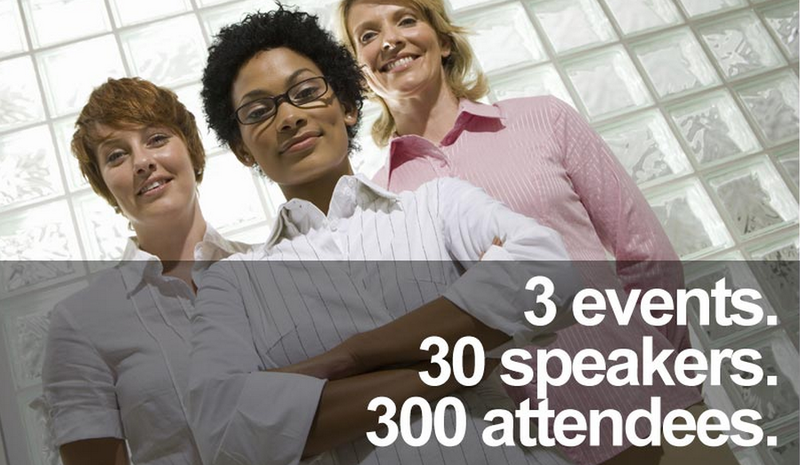 Visit WomenEntrepreneurshipWeek.com for speaker bios. Everyone is invited to join the conversation. Use #WEW on social media. Tag your posts with @FelicianoCenter on Twitter.